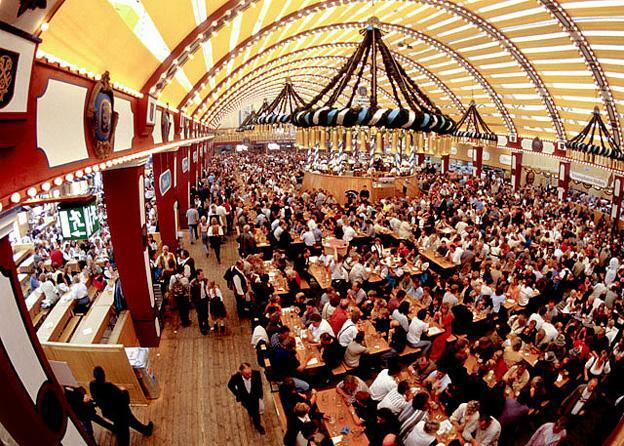 The Octoberfest in Munich, Germany, is one of the highlights of the year for anyone visiting the area. This two-week celebration to German culture and beer kicks off on the 22nd of September and runs all the way through until the 7th of October. Staying for the entire fest can be quite expensive if you don’t have friends or family to stay with. So you should start by picking out the specific highlights that you want to see and plan your trip around them. When you go to the Octoberfest in Munich you will need to start booking your accommodation and transportation early. If you want decent accommodation you should really start booking during the first few months of 2012 rather than August-September. That close to the festivities you will most likely just find camp-sites to stay at. If you are flying to Germany you should look for flights to Munich Airport. This international airport is serviced by several large airlines and it is a major hub in the European flight industry. Regular trains and busses are offered in to the city centre for a reasonable amount of money. Be wary that during Octoberfest these trains and busses will be packed, so pack lightly. Another option is to fly to Zurich (Switzerland) or Stuttgart and get a train or bus from there. This will add on quite a lot of time to your travels but could save you a bit of money, especially if you are booking close to the starting date. Renting a car or minivan between a group of people can also be a cheaper option if you want to avoid public transport. The main area for Octoberfest is quite expensive and you’ll be spending around $75 a day, even if you are just an occasional drinker. Budget well and make sure that you have a bit of money stashed away for transport, food and any unforeseen expenses. Look to spend 3-5 days at the actual Octoberfest if you are looking to get a memorable experience. Food, accommodation and drinks for a longer period will cost you a sizeable amount of money. There is a lot more to the Octoberfest than just the beer and boozing. The surrounding area is filled with roller-coasters, amusement rides and food stands where you can keep yourself occupied for hours upon hours. Make sure that you don’t miss out on the beautiful city of Munich and all it has to offer during your stay. Try and get a guided tour or purchase a decent guidebook so you find all the sites. Visit one of the many German Kitchens built up in tents along the streets of Munich. Indulge in traditional German food, drink and culture until the break of dawn when you visit Octoberfest. I have a passion for the German kitchens as well as German culture in general. I try to convey my love of the German culture to all of my readers in a comprehensible and interesting manner. The Octoberfest is one of my personal highlights every single year, both to write about and to experience.